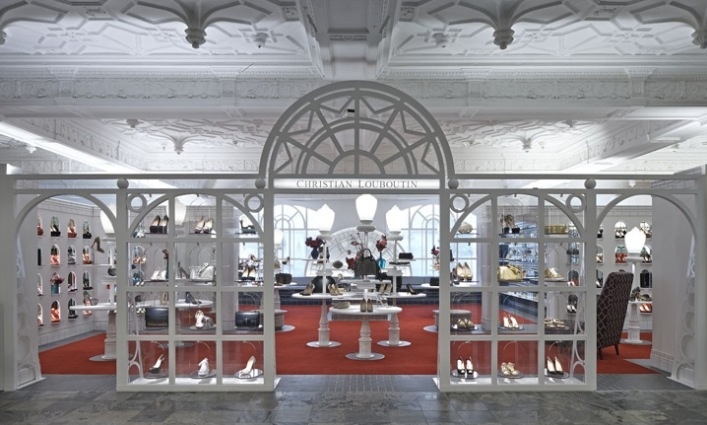 Designer Lee Broom has created a new store concept for Christian Louboutin located in the eveningwear department at Harrods in London. 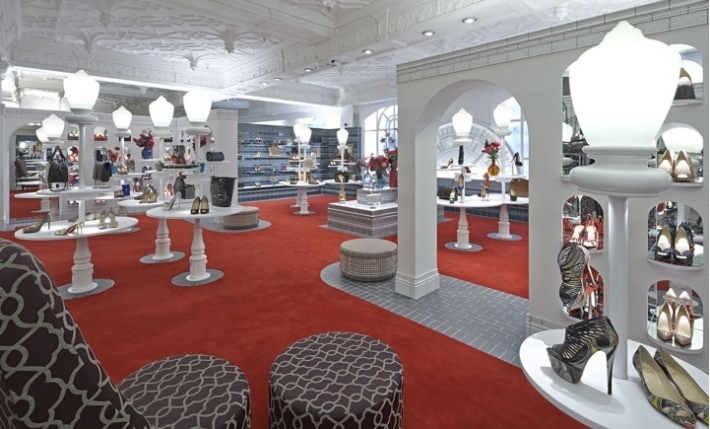 The design of this boutique reflects the city of London but in a theatrical way. Lee Broom is well known for his crystal pendants which have been featured in several projects and exhibitions. Tiled walls, white street lamps, Big Ben were all elements used in the design to reveal the London character. 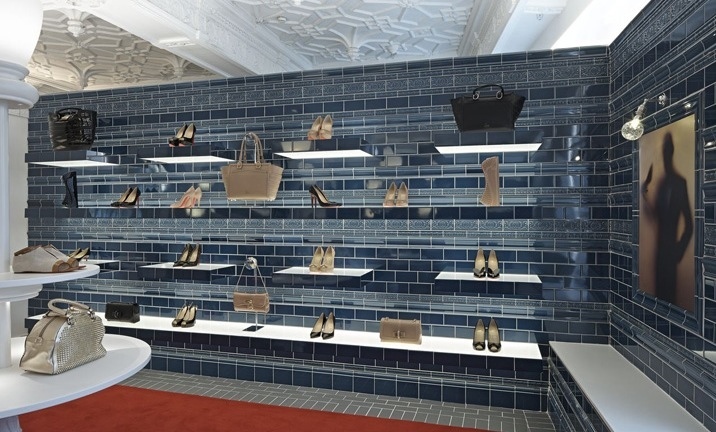 Above is the VIP room at the boutique. Lee Broom is one of the UK’s leading product and interior designers.In his career, he has launched numerous furniture and lighting collections, designed over 40 retail, restaurant and bar interiors and has won more than 20 awards including the ELLE Decoration British Design Award for The Crystal Bulb in October 2012 and ‘Designer of the Year 2011/ 2012’ at the British Design Awards in November 2011. His work has been featured internationally in most major broadsheet and interior design publications. Lee Broom products are now retailed in stores in over 25 countries.